Lach Orthodontic Specialists (Orlando) - Book Appointment Online! 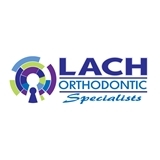 As a leading Orlando Orthodontist, Dr. Lach and his staff at Lach Orthodontic Specialists would like to extend to you a very warm and friendly welcome to our family of nearly 20,000 beautiful new smiles. We consider it an honor and privilege to be chosen as your preferred braces and Premier Preferred Invisalign provider Orthodontist in Orlando, Oviedo, Winter Springs, Winter Park, and surrounding areas. Our sole purpose is to serve you and exceed your expectations as a Florida Orthodontist and provide you with an experience that will make you smile for lifetime! Please note that our office will contact you upon booking your appointment, in order to verify your insurance benefits prior to your appointment. He and his staff are very professional and knowledgeable. They explained everything to me and helped me understand the process that he was going to be doing. I felt very welcomed and at ease when talking to them.